If you don’t know what these type of bets are then let us explain. Lucky bets are the most popular multiple bets in the UK today. Punters select a number of different horses (or it can be used with greyhound races) and then they make a series of different bets within one. Obviously the more of your selections that win, then the bigger the payout you’ll receive as the more bets out of the Lucky bet that you will win upon. Find here details, examples and bookie promotions. A Lucky 15 consists of fifteen bets involving four selections from different events, combining 4 singles, 6 doubles, 4 trebles and 1 accumulator. You need only one winner to guarantee a return. In the event of one winner only, your winnings are doubled. For four winners out of four a bonus of 10% is added to winnings on the win part of the bet (winnings = the return for the win part of the bet minus the win stakes for that bet). If a Lucky 15 contains a non runner no bonuses will apply to that bet. Total Payout = €167.75 minus stake €15.00, leaving total winnings of €152.75. As all 4 have won the 10% bonus on winnings applies (see Rule 9.10.3). The cost of the bet is €15.00, leaving a profit in this instance of €168.02. The only winning bet would be the single on Selection C, all other single and multiple bets would be losers. €1 x €4.00 (payout) — €1 (stake) = €3. €3 x 2 = €6.00. The cost of the bet is €15.00, leaving a loss in this instance of €8.00. In the event of one winner only, your winnings are doubled. (See example b in 9.8 (Lucky 15)). For five winners out of five a bonus of 20% is added to winnings on the win part of the bet (winnings = the return for the win part of the bet minus the win stakes for that bet). For four winners out of five a bonus of 5% is added to winnings on the win part of the bet (winnings = the return for the win part of the bet minus the win stakes for that bet). If the win return with four winners is less than the total win stake then no bonus will be applied. For six winners out of six a bonus of 25% is added to winnings on the win part of the bet (winnings = the return for the win part of the bet minus the win stakes for that bet). For five winners out of six a bonus of 15% is added to winnings on the win part of the bet (winnings = the return for the win part of the bet minus the win stakes for that bet). If the win return with five winners is less than the total win stake then no bonus will be applied. PADDY POWER - LUCKY BETS OFFER Lucky 15: If you have 4 winners you get a 10% bonus. Lucky 31: If you have 4 winners you get a 10% bonus. Lucky 31: If you have 5 winners you get a 20% bonus. Lucky 63: If you have 5 winners you get a 20% bonus. Lucky 63: If you have 6 winners you get an incredible 25% bonus. Open a new account with PaddyPower, get your welcome bonus now! Open a new account with StanJames, get your welcome bonus now! TOTESPORT - LUCKY BETS OFFERFor one winning selection in your Lucky 15 bet, Totesportwill pay out THREE times the odds on one winner, for Lucky 31 and 63 bets, they will pay out FOUR time and FIVE times the odds respectively! Open a new account with Totesport, get your welcome bonus now! BETFRED - LUCKY BETS OFFER Place a Lucky 63 with Betfred.com, if you have only 1 winner and your remaining selections are losers you will get five times the odds for the winner. Place a Lucky 31 bet and get 4x odds for one winner. Place a Lucky 15 bet and get 3x odds for one winner. Open a new account with Betfred, get your welcome bonus now! SPORTINGBET - LUCKY BETS OFFER 10% bonus on your winnings when you place a Lucky 15 or Lucky 31 on any racing (local & international) happening in a single day! Open a new account with SportingBet, get your welcome bonus now! 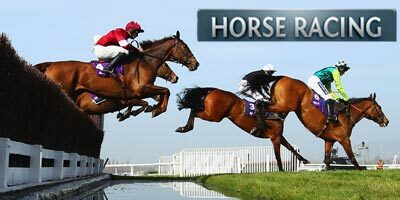 "Horse racing betting strategy: Lucky 15, Lucky 31 & Lucky 63 bets explained here"